I go through cycles with book discovery. Sometimes I rely on recommendations from my book club, other times I pay attention to what the book blogging community seems to like, and occasionally I’ll go on a “throwback” kick and look up the backlist titles of favorite or new favorite authors. 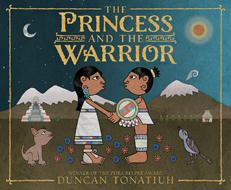 With Duncan Tonatiuh’s picture book The Princess and the Warrior, it was pure serendipity. I had planned to visit the Abrams booth at Book Expo America (an enormous annual book fair)(in other words, heaven!) to look for another title, and saw an image of the cover and note that Tonatiuh would be signing copies later. I quickly identified the story as fairy tale/myth, the art as traditional Central American, and was instantly sold. Award-winning author Duncan Tonatiuh reimagines one of Mexico’s cherished legends. Princess Izta had many wealthy suitors but dismissed them all. When a mere warrior, Popoca, promised to be true to her and stay always by her side, Izta fell in love. The emperor promised Popoca if he could defeat their enemy Jaguar Claw, then Popoca and Izta could wed. When Popoca was near to defeating Jaguar Claw, his opponent sent a messenger to Izta saying Popoca was dead. Izta fell into a deep sleep and, upon his return, even Popoca could not wake her. As promised Popoca stayed by her side. So two volcanoes were formed: Iztaccíhuatl, who continues to sleep, and Popocatépetl, who spews ash and smoke, trying to wake his love. The Princess and the Warrior is the story of Itza and Popoca, who according to legend lived long ago in the area near modern-day Mexico City. Princess Itza spent her days in the fields, teaching poetry to the workers. She had no interest in leaving her life to live in a palace, and so she was not swayed by the rich men who wanted to marry her for her beauty. Popoca, a simple warrior, won her heart with honesty and a promise of loyalty. In order to gain her father’s blessing, Popoca went out to fight a fierce enemy clan. When he was close to defeating them, Itza was tricked by the enemy’s messenger and fell into a sleep from which she never awakened. Popoca kept his promise to stay by Itza, and in time they turned into two volcanoes which look over Mexico City today. I am HERE for fairy tale retellings and myths and legends, and this one is a great one, wrapped up in a beautiful package. Tonatiuh’s retelling includes not only a bittersweet story (ugh, the angst of lovers divided by deception! ), but he also highlights the use of poetry, sprinkles Nahuatl and Spanish words throughout, and focuses on characters who defy gender stereotypes (Itza by valuing honesty and loyalty above riches and compliments, Popoca by accepting Itza as she is and promising to stay by her forever and then following through). Love story based on honesty, loyalty, and intelligence, featuring Native American characters, with a mythic background? It just hits on so many of my favorite things, and we’re not even counting the fact that I spent three years in grad school focused on Latin American history. I really like this book, friends. On to the art! Which is basically a bonus for me at this point but for most people it can make/break a picture book. As you may be able to tell from the cover, the style pays homage to traditional pre-Columbian art, where people and animals are always depicted in profile. The digital collage method that Tonatiuh used highlights the texture of the textiles of the characters' dress (linen and other woven materials are distinguishable), and the colors and backdrops are bright and active. The style might take a minute to adjust to, but it enhances the story and adds another layer of context to the legend. There's plenty for little eyes to look at, and the Jaguar Claw warrior panels are particularly engaging. In all, The Princess and the Warrior is a lovely picture book suitable for all ages. I plan to gift it to my young cousin who is obsessed with princesses, and I'll also strongly encourage my elementary school teacher friends to stock it in their classroom libraries. Diverse kidlit FTW! Recommended for: fans of myth, legend, and pre-Columbian history, and anyone with a stake in supporting diverse children's literature and #ownvoices. Fine print: I picked up a copy of this title for review consideration at BEA. I did not receive any compensation for this post. Roald Dahl’s 100th birthday celebration blog tour stops here today at Adventures of Cecelia Bedelia for a Fantastic Mr. Fox-themed food celebration. 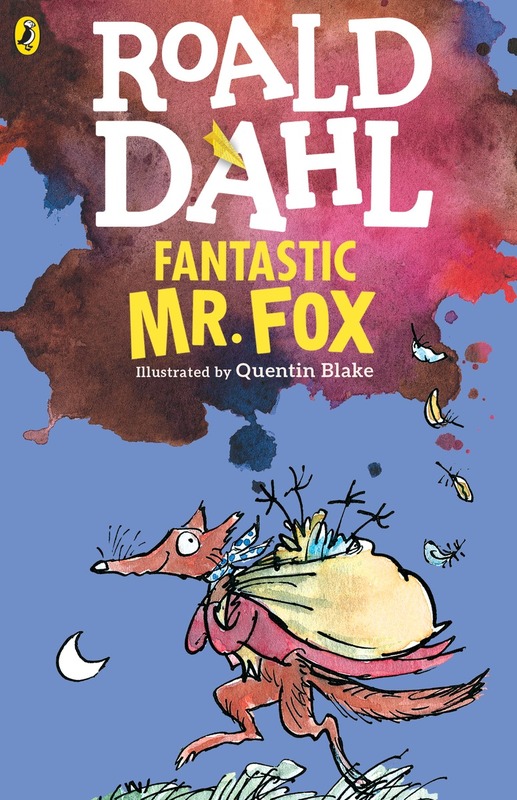 Newly-redesigned paperback editions of Fantastic Mr. Fox and other Roald Dahl favorites are available from Puffin (Penguin Young Readers). Stay tuned until the end of the post for a giveaway of all 15 re-released editions and a special tote bag! One of the first times I have a really vivid memory of someone other than my mother reading aloud to me is when my first grade teacher read Roald Dahl’s James and the Giant Peach to my class. That book is quite an adventure, but it also features a lot of eating. My first thought (to this day!) when I remember the story is that I don’t know if I’d ever get sick of eating peaches. I might have been a perennially hungry child, can you tell? Fantastic Mr. Fox didn’t reach quite as mainstream a status as that until Wes Anderson turned it into a stop-motion film (which I loved). When I was considering what to do to celebrate Roald Dahl’s birthday week, I couldn’t pass the book itself up. It is the PERFECT. FALL. EATING. BOOK. I mean the whole thing revolves around Mr. Fox stealing chickens, geese, ducks, turkeys, cider, and so on to feed his family. There’s even a huge community feast at the end! And if you open any recent cookbook about seasonal eating, apples, ducks and chicken will figure prominently in the autumn sections. It was meant to be. While Fantastic Mr. Fox doesn’t specifically mention applesauce, one of the farmers (Bean, the cleverest one) is an apple farmer, and he subsists solely on gallons of strong apple cider. My applesauce recipe has non-alcoholic cider in it, so we’re going to call it good and say I stayed on theme, okay? Okay. The upside of all of this is that the recipe is ridiculously easy to make, so you too can have a delicious fall- and Dahl-inspired meal (if you want). Set the oven to broil and line a rimmed baking sheet with foil. Wash the apples (and make sure to remove any produce stickers!) and place them on the sheet on a top rack right under the broiler. Watch and turn the apples every 2-3 minutes, but let charred bits bubble up on the skin. After you’ve turned the apples 4-5 times and have a few charred spots, lower oven temperature to 400 degrees F and bake for another 10 minutes. Before removing from oven, check with a skewer to see if apples are soft. Skewer should slide through apple easily. If it doesn’t, bake another 5 minutes and test again. Once the apples are done, remove from oven until cool enough to handle. Use your fingers to separate the skins from the flesh and set aside (the skin separated from the flesh while I was baking the apples, so this step was really easy), and remove the core, stem, and seeds with a spoon or your fingers again. Place the apple flesh in a medium-sized bowl, mash to your liking (if at all), and add cider. Stir just to combine. Chop up some of the charred skin and add to the bowl. Grate in cinnamon to taste – for me that’s about 2/3 of the cinnamon stick, and also add the pinch of salt. Mix, and you’re done! If you won’t eat it all in one go (it’s also good on pork, chicken & duck! ), refrigerate the remainder in an airtight container for 3-4 days. To make the yogurt dish, simply layer the yogurt and applesauce in a bowl to your liking, and sprinkle with toasted pumpkin seeds. I made toasted the pumpkin seeds by layering half a handful on a baking sheet with one spritz of baking spray and placing under the broiler for one minute (okay 2, I like them very crispy!) after I finished baking the apples. Add honey or other toppings to taste! Recommended for: a taste of fall in your morning routine, and a good way to use up extra apples from that apple picking trip you have coming up. Fine print: I received a copy of Fantastic Mr. Fox from the publisher for review consideration. I did not receive any compensation for this post. Giveaway and giveaway prize under the direction of the publisher. My mother and grandmother did their best to foster a love a reading in my siblings and me. That meant gifts of books at birthdays, Christmas, as rewards for good behavior or excellence, and sometimes “just because.” My birthday falls just after Christmas, so for much of my childhood those gift books were Christmas books (or if they weren’t explicitly holiday-themed they were winter-themed!). To this day I have a soft spot for picture books that depict snowy landscapes, holiday cheer, and/or hibernating animals. 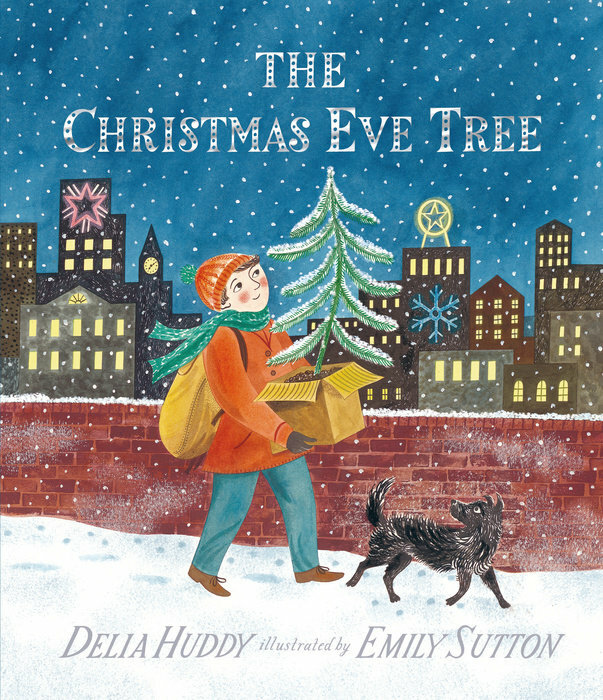 I picked up a proof of The Christmas Eve Tree by Delia Huddy and illustrator Emily Sutton on a whim at Book Expo America, and it has already found a special place in my heart. This picture book is sure to join other classics on the shelves of any family that celebrates Christmas. In a deeply moving story with the hallmarks of a classic, a homeless boy’s rescue of a spindly Christmas tree sparks a glimmer of hope that has far-reaching effects. It’s late on Christmas Eve, and the little fir tree is the only tree left in the shop. What a poor thing I am, it thinks. But then a young boy enters the store, drawn in from the damp by the warmth and lights and the wonderful smell of Christmas, and he doesn’t seem to mind that the scrawny tree isn’t tall and straight like the others… This magical story, beautifully illustrated by Emily Sutton, captures an unexpected and unforgettable moment of happiness that brings a whole city together. Delia Huddy’s story of a misshapen Christmas tree that finds its way into the exact place it was meant to be is the sort of tender, heartwarming tale that could easily veer into maudlin territory. Instead, the story strikes a balance with poignant, bittersweet moments juxtaposed with Christmas cheer and community spirit. Huddy includes themes of feeling unwanted and introduces homeless characters with care, highlighting both issues without downplaying their seriousness. That said, there are a couple of convenient loose ends and a resulting happy finale. The result is warm, heartfelt, and sure to spark important family conversations (and possibly new traditions!). This story might not be 100% perfect, but it is very good and it has the hallmarks of a classic. It’s a little crazy that I’ve gotten this far into the review without talking about Emily Hutton’s fantastic illustrations. They’re… everything. The rows of Christmas goodies in the shops, the holiday lights in the night, the cityscapes – they’re fantastic. I don’t know the last time I was this charmed by the complimentary combination of text and pictures. Hutton’s art is vibrant, evokes a sort of every-city-at-Christmas feeling, and takes the titular crooked little tree through its life cycle. Humans feature in the story but the tree is the understated star of each page (even if the reader must search for it in a different location on every spread), an artistic choice that elevates the pictures from sweet to layered and read-again worthy. All told, The Christmas Eve Tree is a treasure. I’ll be gifting it to all of the children I know this upcoming holiday season. Recommended for: anyone who celebrates Christmas and enjoys gorgeously-illustrated picture books. 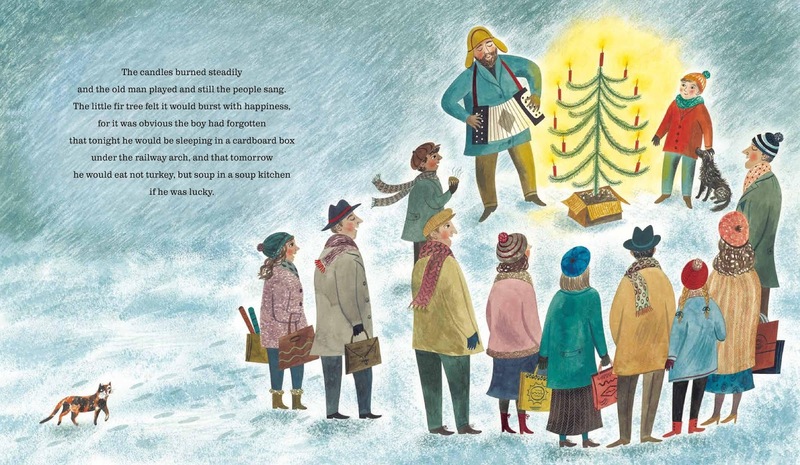 The Christmas Eve Tree will be released by Candlewick on September 27, 2016. THE CHRISTMAS EVE TREE. Text copyright © 2015 by Delia Huddy. Illustrations copyright © 2015 by Emily Sutton. Reproduced by permission of the publisher, Candlewick Press, Somerville, MA on behalf of Walker Books, London. Additional fine print: I picked up a copy of this title for review consideration at BEA. I did not receive any compensation for this post. 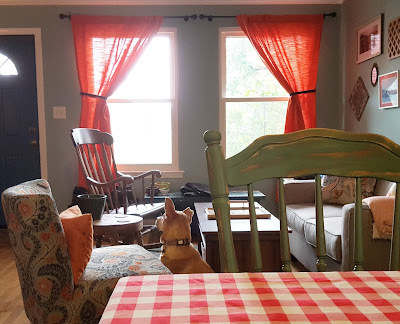 Here’s where I am with baking: it started as therapy, then it was a creative outlet, then it became part of “who Cecelia is (especially at parties).” Now I my goal is to find new, exciting, unfamiliar things to make – basically, to challenge myself. And as much as I love getting recommendations from friends or seeing what the New York Times cooking section has on offer, the recipes rarely surprise me. So it’s a good thing that I won an Abrams Instagram contest and a handful of new-to-me cookbooks. Yvette van Boven’s Home Baked has been surprising me since January, and it has been the jump-start I needed to get out of my baking comfort zone. Food stylist and cook Yvette van Boven has offered delicious seasonal recipes in Home Made, Home Made Summer, and HomeMade Winter that highlight the fresh produce available throughout the year. 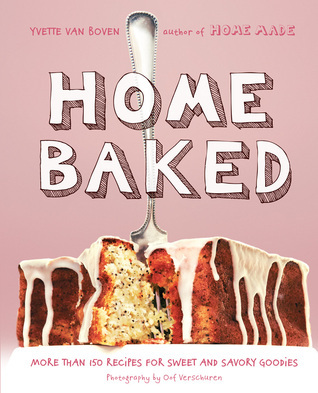 In her much-anticipated follow-up, Home Baked, she celebrates the art of baking. Talented cook, artist, and food stylist Yvette van Boven tackles home baking in a gorgeously–conceived and –executed cookbook. Van Boven introduces a range of Irish, Dutch and French recipes (and some that are a mix or none of those three!) under the headings of Viennoiserie (breakfast pastries), Bread, Pound Cake, Bars and Slices, Cookies, Pie, Birthday Cakes, Pâtisserie and “Do Not Forget the Dog,” aka recipes for canine companions. Home Baked provides a fresh take on baking inspired by van Boven’s personal preferences, changes to diet, and special occasions, all with a homey feel (and most importantly, reproducible by the home baker!). Some of the European-influenced recipes may be familiar to North American bakers, but van Boven includes detail about why certain ingredients are included that was new to this reader. In addition, all of the recipes are labeled if they are wheat-free, gluten-free, lactose-free, sugar-free or refined sugars-free, which is very useful for anyone dealing with dietary restrictions. The overall presentation of this cookbook is one of its best features (what, you thought it was just a book of recipes?!). Along with gorgeous photos of the food, its pages are filled with watercolor-washed backgrounds, lovely full-page spreads of photographs of Irish and French landscapes, and hand-inked recipe illustrations. It’s a cookbook that can double as a coffee table art book (and I don’t know that I’ve ever thought of a cookbook that way before!). Now that I’ve done the official “review” things, I can give you my honest feedback on the book, right? Well, it’s great. I found it both an inspiration and a bit of a learning experience. Van Boven makes all of her recipes in a convection oven, and the majority of the goodies don’t call for expensive kitchenware. I used more eggs and lemon zest in baking than ever before, experimented with oven times, substituted ingredients, and liked the results. Who knew? I thoroughly tested (read: enjoyed) the cookbook by baking that gorgeous cake on the cover (Super-Light Lemon Poppy Seed Cake), the Cherry Cream Pie with Raspberry-Campari Sauce, the Far Breton Aux Pruneaux, and two kinds of cookies. All of the recipes turned out well and won major kudos from friends. One minor nit: I found a couple of recipes that either had ingredients or amounts transposed or misspelled, or that were missing bit of the recipe. For a book so beautiful, it’s a shame that they didn’t do just one more copyedit. 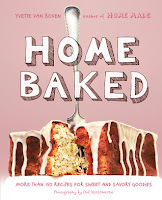 In the preface, Yvette van Boven writes that “Baking will not only make you very happy; it will make you beloved.” Home Baked is a homey, accessible homage to baking, a breath of fresh air, and its recipes prove the author right. Recommended for: home bakers who want to round out their baking game with European-inspired delicacies, and anyone who can appreciate a beautifully constructed book. Interested in other food-related posts? Check out Beth FishReads’ Weekend Cooking! Fine print: I received this book from the publisher as a prize in an Instagram contest. I did not receive any compensation for this post. I’ve had several lovely bookish things happening in my life, and I thought I’d share the joy a bit, in case they give you an idea or the nudge you need to add something book- or reading-related to your routine. I found many of these through excellent recommendations from the Twitter book world (thanks, all!). 1. One Book At A Time literacy project – This fantastic program pairs children in after school programs who don’t have access to books with someone (anyone!) willing to buy and send one book per month over the course of a year. Participants also get to exchange letters with their “book buddy.” I corresponded with a 14 year-old girl over the last school year and it was seriously SO REWARDING. I felt so proud when I finally figured out her reading preferences, and I just about burst with happiness every time one of her letters arrived in my mailbox. I can’t wait to be assigned to a new book buddy when school starts up again next month. 2. Matched graphic novels & kids for a reading teacher – I have two close friends who work as reading teachers in local elementary schools. When we get together we often talk about their kids and the books they’re reading (or having trouble reading, as the case may be). One of those friends told me a heart-breaking story about two 10 year-old girls she tutors. The first student has no confidence in her reading, and her classroom teacher only cements that. I immediately thought of Dav Pilkey’s latest, Dog Man. The other student is stronger in math and science than reading, so I went to Gene Luen Yang’s Secret Coders. Thanks to my trip to BEA, I had ARCs of both on hand and donated them right then and there. My friend reported back that both girls were ecstatic about the books, boasted that they read “graphic novels” to teachers and friends alike, and that the reading practice helped them pass their end-of-the-year tests with confidence. It legit made me cry (happy tears). 3. Adult summer reading at my local library – Does your local library have a summer reading program for adults? Mine does, and it is GENIUS. I mean, I’m reading anyway, but it’s great incentive to log books read, and there are prizes! 4. Audiofile’s free ebook program SYNC – Two free audiobook downloads each week for 15 weeks over the course of the summer. Does that sound good to you? If so, you should totally sign up for the weekly reminder emails. I don’t even like audiobooks, but this offer is too good to pass up. 5. Crowdsourcing book suggestions – A coworker of mine mentors a 17 year-old boy, and she told me about him over a lunch one day. Her description of a curious, sharp, private kid who has seen way too much hardship hit me in the feels. I asked her if I could send him a book. When I got the okay, I turned to Twitter for recommendations. They delivered. I ended up ordering two of the suggested titles for a kid I don’t know. I really hope he likes them. I feel like a hero anyway. 6. OTSP Secret Sister – Have you seen the #otspsecretsister tag on the web and wondered what it meant? It’s six months of bookish secret santa, with an emphasis on cheer and sending thoughtful letters. It’s FUN to organize gifts and letters and little surprises for a new friend. And of course receiving little things in the mail isn’t too shabby, either. I signed up last month for my 3rd round because I keep having such a great time. 10/10 would recommend. 7. Book club (in real life and everything!) – Many years ago in a galaxy far, far away I didn’t have any close friends who read the sort of books I liked. Then I discovered Forever Young Adult’s book club network and joined the DC chapter. I now know many excellent people who read YA for fun, and we meet up and talk at book club and outside of it too. It’s super gratifying to have friends who want to see the latest teen film-to-book adaptation (like I do!). 8. Tor.com eBook of the Month Club – If you read sci-fi and fantasy, get thee over to Tor.com and sign up for their free ebook of the month club! You get a free download that is yours to keep no matter what, and the titles are fab. Just do it. 9. Talking to my 97-year old grandmother about the formative books of her childhood, and what she’s reading now – I spent some time with family over a long weekend, and I got to chat with my grandmother about reading. Which, for the record, is the best. She’s so smart and strong – I’m honored to be related to her. By the way, she just finished David McCullough’s biography of the Wright brothers. 10. Reading a cookbook in French! – I’m headed to Paris for the first time next month for a short vacation, and I’ve been teaching myself elementary French via Duolingo. I helped a family friend make a sorbet recipe over the weekend and I read it in French (with help)! So exciting. Honorable mention: It hasn’t happened yet, but I plan to attend Kate Milford’s book launch next week in Annapolis, MD for her new middle grade novel The Left-Handed Fate. What are some bookish happenings in your life? There are days (increasingly rare days!) when I’m brimming over with ideas for blog posts. I made the lovely Emma of Miss Print help me come up with a theme for this week’s top ten post because I was just… out. Once I had the idea in hand it was easy to execute though, because... dear hearts, I LOVE COOKBOOKS. I started this site as a book blog (and of course cookbooks are books! ), but my posts about food are always more popular than the ones about books. Cookbook reviews = happy medium. And I do love reading through a good cookbook. Here are some of my absolute favorites. 1. The Joy of Cooking by Irma S. Rombauer, Marion Rombauer Becker and Ethan Becker – Starting with the absolute basics – this is the very first cookbook I ever cooked out of. That’s because it was my mother’s kitchen staple (and it’s now mine). I was so proud when I found a used hardback copy at the thrift shop for my own shelf! 2. The Four and Twenty Blackbirds Pie Book by Emily Elsen and Melissa Elsen – I became the de facto Thanksgiving pie baker sometime in the past decade, but I really upped my game after reading and becoming a disciple of this cookbook. +10 pie game. 3. Saved by Cake by Marian Keyes – Marian Keyes is an Irish novelist who deals with life-threatening depression through baking. Her cookbook shares both wonderful recipes and hilarious stories. 4. Hallelujah! The Welcome Table by Maya Angelou – I’d never read Angelou before, so I started with her cookbook (it seemed natural to me!). The recipes weren’t necessarily my thing, but the stories! Good lord, this is literature. I’d be happy to have this out on my coffee table any day/any time. 5. From Our Kitchen to Yours: Trinity Baptist Church edited by my dad – One of my dad’s first retirement projects was compiling and editing a church cookbook. Naturally, a bunch of our family recipes made their way into the volume. Sometimes instead of calling my mother for this or that recipe, I can just open up this volume (super convenient!). 6. The Vegetarian Epicure by Anna Thomas – My youngest brother got Type 1 diabetes at two years old. My mother spent 10 years trying every healthy cleanse/diet/recipe known to man in order to help manage his disease (she eventually gave up a bit on the diet front because nothing except insulin helped long-term). This is one of the “diet” cookbooks (it’s not a diet cookbook at all! Just vegetarian.) that actually had recipes the whole family liked – so my mom kept cooking out of it even after the crusade ended. I did another thrift store hunt and found this at a used book sale. 7. Home Baked by Yvette van Boven, photos by Oof Verschuren – I won an Abrams Instagram contest earlier this year, and they sent me this lovely cookbook (+ 2 other cookbooks, a baking bowl & a spatula)! It’s got gorgeous pictures and delicious baked goods – I can’t wait to test a few more recipes and share my review with you all! 8. Fika by Anna Brones and Johanna Kindvall – Ahhhh this cookbook is great. Hand-drawn illustrations, delicious Swedish baked goods, cultural history… definitely my type of thing. I even made the cardamom buns on Christmas morning! 9. Forgotten Skills of Cooking by Darina Allen – Maybe the first cookbook I ever purchased as a result of following a food/lifestyle blog. One of my favorite early bloggers (this was back in… 2009?) bought this giant book and talked at length about seasonal cooking and preserving, and I just fell in love with the idea of it. At the time I had a shoebox of a kitchen and none of it was practical, but I still adore this doorstopper. It really lives up to its title, and Allen is like the godmother of modern Irish cooking. 10. The Broad Fork by Hugh Acheson, photos by Rinne Allen – This one was a Christmas gift from a dear friend, and it embodies that seasonal, vegetable-crazed cooking life we all live now. I don’t get to the farmer’s market as often as I should, but when I do I turn to this cookbook for guidance. Imagine hosting a dinner party EVERY Friday night. If you’re like me, that sounds overwhelming and expensive (the time commitment alone!). On the other hand, invite me to a dinner party every Friday night and I will come. Two months ago my lovely friends Katie and Jared started their Friday Night Meatballs tradition. They were inspired by this article. The goal? Connect with friends, family, and friends-of-friends who they haven’t seen in a long time. Start a tradition that will bring them joy. Make and eat delicious food in good company. And so far, they’re making good on all of those goals. There’s also the nice side benefit that this event doesn’t feel like “going out.” Even if I’ve had a tough week, I can still muster the energy to head to Friday Night Meatballs. And the company is always fascinating. So what IS Friday Night Meatballs? It’s a dinner party at Katie & Jared’s on any given Friday night (unless they’re out of town). It starts at 7pm, and it’s open to anyone who can see the invite on their Facebook walls. It is capped at 10 adults, though additional children and dogs are welcome. The menu is always pasta and meatballs, but with advance notice the hosts can accommodate all kinds of dietary restrictions. You don’t have to bring anything, but wine, salad, and desserts are welcome. What’s so special about the atmosphere? I think part of the charm is that it’s low fuss. Katie and Jared are about hospitality. Their home is open on Friday night no matter whether you’re a local and they see you every week, or you haven’t talked in years. And they really work to get the food right. Pre-Meatballs, dinner with Katie & Jared might involve making ravioli by hand, or checking out the newest DC fusion restaurant or ramen place. Now I feel like I can open their fridge, jump in and help with prep, and/or show up 30 minutes early just to chat. BASICALLY… we’re even better friends than we were (and I love that). I’d be remiss if I didn’t mention the really cool crowd (Jared’s in political radio, Katie works in international aid) that Friday Night Meatballs pulls. I’ve talked about marine policy, the history of food spying, alligator rescue squads, and bikini baristas with fellow dinner party members. So many good stories, so many interesting people! It’s the DC I always imagined was out there, but didn’t necessarily meet because I wasn’t in the right crowd. Anyway, that’s what I’ve been doing on my Friday nights. Do you have a food-related traditions? I think we’re all nostalgic about something or other, and as a person who writes about books, I am sometimes nostalgic for the days when book discovery was looser and freer. When I was a teen I browsed the library (or occasionally store!) shelves and picked up whatever looked good, regardless of genre. 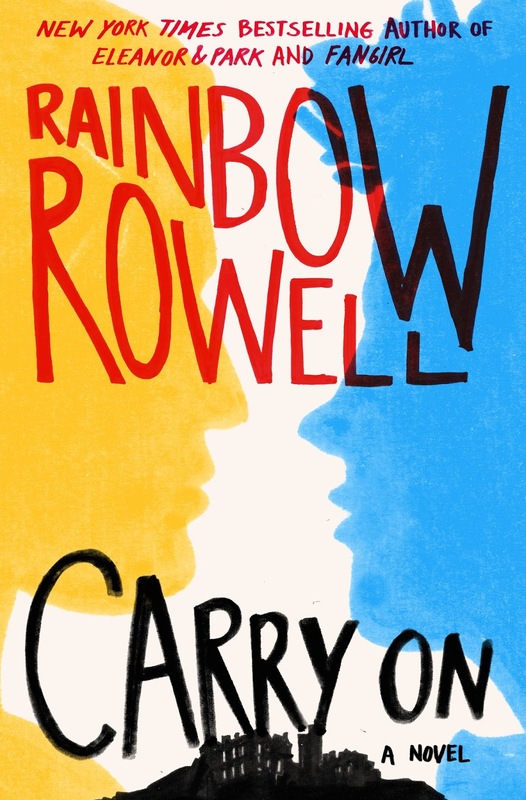 A pretty book cover doesn’t necessarily discriminate between fiction or nonfiction, or age-appropriateness! That said, I’m much happier in general with the quality of the fiction I’m reading now that I mostly go on recommendations. But in keeping with this week’s theme, here are some of the books I recently picked up on a whim (free of recommendations – from anyone!). 1. Reading Jackie: Her Autobiography in Books by William Kuhn – I visited Dallas earlier this year to see a dear friend who relocated to Texas. We went to the Book Depository, the building from which Lee Harvey Oswald (allegedly) shot JFK. It’s an interesting museum, and I learned quite a lot. I picked up this book in the museum shop because it looked interesting, and I bought it because I had no idea that Jackie Kennedy Onassis worked in publishing! 2. 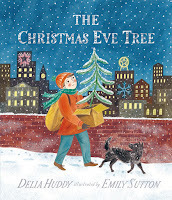 The Christmas Eve Tree by Delia Huddy, illustrated by Emily Sutton – When I was at BEA this last week, I did one last ‘wander’ around the convention exhibits floor before I left. Candlewick was closing up shop and giving away all of their display titles. I happened to pick this one up, and I’m so glad I did! I LOVED it, and have already written & scheduled my review for September. 3. Sorcerer to the Crown by Zen Cho – This title and the next one were books I picked up while browsing at Amazon Books, the new Amazon bookshop concept in Seattle. I was there with my mom, sister-in-law and aunt, and I was the only one who picked up anything to purchase. We had a great time checking out the unique layout and sharing our opinions afterwards, though! 4. The Wolves of Willoughby Chase by Joan Aiken – As I mentioned in my review of the Amazon Books shop, they had an interesting (and limited) selection of titles. This was one of the few older titles on the shelf, so I read the cover copy and then realized I had to have it. 5. The Storied Life of A.J. Fikry by Gabrielle Zevin – There used to be a bookshop in Skaneateles, New York, where my grandmother and uncles live (and since they host Thanksgiving and Easter, I visit!). It was right across the way from the bakery, so when I was sent out to get fresh bread I’d pop into the bookstore. I picked this up on one of those little trips, mostly because it was about books and I recognized the author name. 6. Stay Where You Are and Then Leave by John Boyne – As an adult I have certain requirements when I travel: there must be good food, good museums, and a bookshop visit. I went to Ireland with friends in 2013, and had an amazing time. Some of my favorite souvenirs were the books I picked up from a shop in Dublin, including a signed copy of this middle grade title (which I still haven’t read)(no judgement). 7. Armada by Eric Cline – The story of this one is simple. My friend Melissa sent out an email to our book club asking if anyone wanted the book. I replied back first. 8. The Vegetarian Epicure by Anna Thomas – My mother used this cookbook all the time when I was growing up. I saw this copy at a book sale a few years back and immediately added it to my library. Another step on the (mostly unconscious) life journey to turn into my mother? Maybe. 9. Pip Bartlett’s Guide to Magical Creatures by Jackson Pearce & Maggie Stiefvater – There’s a Barnes & Noble bookstore around the corner from the Apple Store I frequent, so I go there to wait and browse a few times a year (hey look! books! entertainment!). I picked up this title and the next one on one of those journeys. 10. Interstellar Cinderella by Deborah Underwood, illustrated by Meg Hunt – I didn’t mean to read this book at all – I just wanted to look at the pictures. But it’s really too cute for words, so I ended up finishing it right there in the store. Art can make or break a book! What’s the last book you picked up on a whim?